We arrived in Paris on World War II Victory Day, a national holiday to celebrate the anniversary of when Charles de Gaulle announced the end of World War II in France on May 8, 1945. 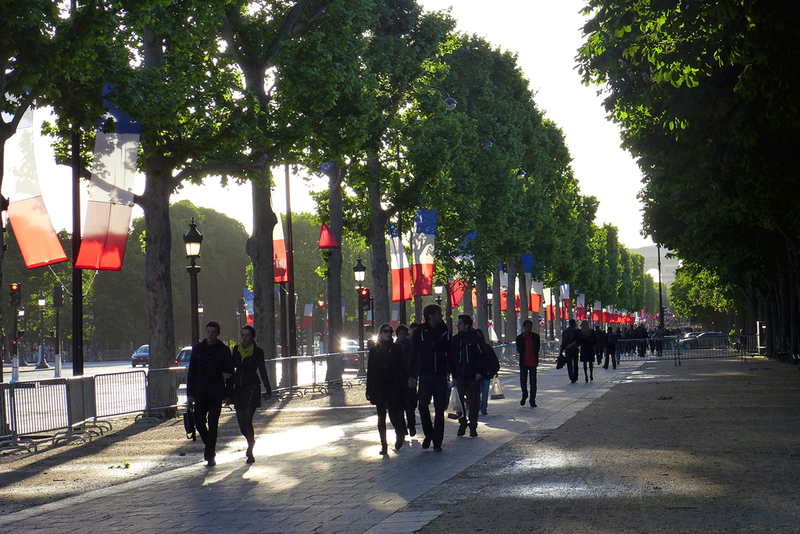 Streets and buildings were draped with French flags, especially the Champs-Élysées. This entry was posted in Photography and tagged Champs-Élysées, Paris. Bookmark the permalink.